If you were signed up for this years 17 mile race, we ask that you please take the time to read this. It is about a 9 minute read. Minnesota experienced a record and historic Spring storm that coincided with the 2018 Zumbro Endurance Run (held Friday April 13 & Saturday April 14, 2018). This storm possessed heavy rain, sleet, gale force winds, sub-zero wind-chills, whiteout conditions and snow totals accumulating to 15″ in the Twin Cities and over 10″ on the Zumbro Endurance Run race course. This storm forced the cancellation of the 17 mile race which was to begin on Saturday morning at 9am – the 100 and 50 mile races started as scheduled the day before. The severity of this storm was significant: there were over 560 motor vehicle accidents, 64 with injuries and 2 fatalities; Highway 52, one of the main highways used to get to the Zumbro race course, was closed from early afternoon Saturday until Saturday night; the international airport in Minneapolis closed down for a period of time; and all different types of events were canceled throughout the state. 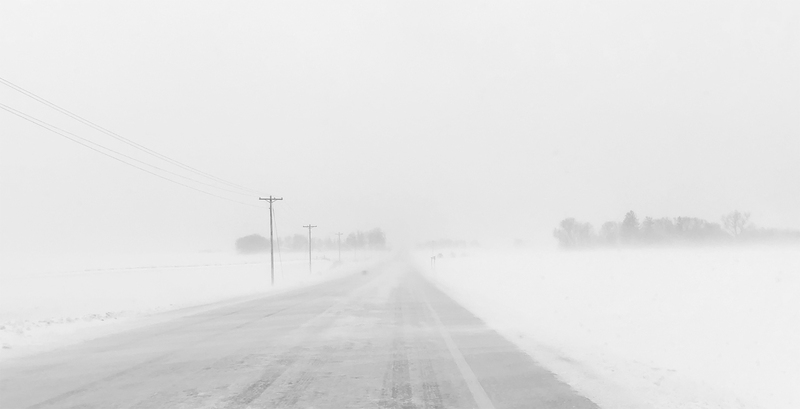 Meanwhile at Zumbro, as the storm unfolded on Friday night into early Saturday morning, we were in frequent contact with the Wabash County Sheriff who unequivocally stated that the road conditions were the worse they had ever seen in the county. The Sheriff Deputy also stated that neither they nor the county could commit to a timeframe by which the remote roads nearest the race course would be plowed. The Sheriff’s office indicated that it could be as late as Saturday afternoon before these remote roads could be plowed since they were dealing with so many other issues related to the storm. In an effort to maintain access to key evacuation points on the edges of the race course, we were miraculously able to find, wake (at 2:30AM no-less), and hire a private snowplow contractor to make a pass on the local back roads that we use to access different parts of the race course. We also paid him to plow all the way back from the township roads, through the county roads, in order to connect to the state roads and highways. In spite of this massive effort, it was not long before even trucks and SUVs were getting stuck and sliding off of the nearby steep township county and state roads because the snow continued to fall on the already icy roads. As all of this unfolded, course / trail conditions, which were at an all-time bad condition before the race began due to an extremely persistent Winter, were going from bad to worse. The majority of 100 and 50 mile runners had either dropped out of the race or were on their way to dropping out – the vast majority doing so electively and responsibly by dropping at the start / finish area vs.. on the course. And they electively dropped well before their own personal situations got too critical – kudos to each of them for exercising good judgement to the benefit of themselves, their loved ones, their fellow racers and our volunteers. As the night and early morning passed, we knew that there was a balancing act of needing to let the 17 mile runners know if the race were cancelled and waiting as long as we could in case conditions changed and we could run the 17 mile race safely. If the race were to be cancelled, we wanted this decision disseminated before 17-mile participants woke up and attempted to get down to the race. We waited as long as we could to see if conditions would relent and improve. We waited as long as we could to see if there was any chance that we could safely run the 17-mile race. But the writing was on the wall, written in crystal clear ice and snow: [for safety’s sake, ] the 17 mile race could not be held. For the most part, we were able to reach everyone. Only about 25 people showed up who did not get the message via email or on our website, UltraSignup or social media which had all been updated with the important information. There were approximately 25 17-mile registered runners who were already on-site volunteering or helping runners in the longer events. Also, starting about 12 hours prior to the race, we had gotten many emails indicating that people were already planning on not making the drive to the race because of the storm. This contributed greatly to reducing the number of people who showed up at the race site Saturday morning. 1.) Travel to the race was unsafe, both on the major highways and especially on the very steep and winding minimum-maintenance township roads leading into the Zumbro Bottoms which were also not sufficiently plowed. Given that there was no definitive ETA on when the roads would be plowed and with more snow falling, the prospect of adding 100’s of additional cars to this mix would have been irresponsible and a potential disaster in the making, especially since even trucks and SUV’s were routinely getting stuck and sliding off of the roads. 2.) Even if people could have gotten in to the race, they may not have been able to get out. The parking at Zumbro is primarily in a grass field within a large campground. This field was covered in a base of slush and ice, continually being blanketed by ever increasing amounts of snow. Those with 4WD would have had a fair shot of getting out of their parking spots, nearly everyone else would have been stuck, and those stuck would likely not have sufficient camping and cold weather gear or provisions to spend the night. Those who could have gotten out would have had to navigate some of the worst roads ever seen in the state of Minnesota while fatigued after running what will likely go down as the most challenging conditions on a Minnesota race course. Finally, Highway 52, one of the main highways leading North and South out of the region was closed for most of the day on Saturday at / around the time that runners would have been trying to travel home, as gale-force winds kicked up and created whiteout conditions. 3.) As the race organization, our ability to access evacuation points on the course were diminishing by the hour beginning Friday night and continuing into Saturday. While we could likely sustain a few mobilizations and evacuations from the course (the contract snow plow came through once and we had our own fleet of ATVs), we would have been hard pressed to do more than one or two, and each would have taken much longer than usual. The evacuation time would have been additionally increased because local EMS / Search and Rescue personnel were already stretched thin responding to other unrelated incidents due to the storm. Even one or two responses to our event would have had a significant impact on a small local EMS’s ability to respond to other emergencies in their county. Thus, to bring 100’s of more individuals into a remote part of the county would have been negligent on our part. 4.) Due to travel conditions, new volunteers were unable to get to the race to relieve and supplement volunteers who had already been working up to 24 hours at that point (most would go on to work nearly 36 or more hours, many without sleep). Had the 17 mile race been held, we would not have had a sufficient volunteer force to aid any more runners, especially if some volunteers needed to pull out of the aid stations to respond to an emergency on the course. 5.) Even if 17 mile participants could have made it to the race, the course would certainly be unsafe for any of the less experienced participants. This is not to say that those running in the 17 mile race are not tough or that all would lack the experience needed to attempt the course in such challenging conditions. Being able to run 17 miles on trails is impressive no matter how you slice it. However, as an event director of what has become a large and popular race, I know that with a race as large as Zumbro, there will be a good number of first time trail racers and people who were not ready for the conditions as those conditions were presenting themselves on the course. Additionally, heavy ice and drifting snow were knocking down and covering course markings, making the course difficult to follow. Conditions on the course were hard from the get go, but by late Saturday morning, winds on the ridges / high points of the course were in excess of 75MPH, temperatures were below freezing, windchills were below zero, significant portions of the course had shin-deep slush water, and the drifted snow was knee deep. While we are sure some participants packed a variety of clothing, it was our best educated guess that most did not have the extreme Winter gear that would be necessary to safely proceed. What about the 100 and the 50 mile races? We have received literally hundreds of emails, Facebook comments, text messages and phone calls showing nothing but support for our decision. We also heard from countless runners that were not going to attempt to make the drive down to begin with. A tiny minority of those that were registered to run the 17 mile race have sent emails saying that “I was in the area and ready to run so why couldn’t I, the 100 mile and 50 milers were allowed to – I feel cheated.” The fact is, the 100 started over 24 hours prior to when the 17 mile was scheduled to begin and for the 50, most people were on-site, and it was likely safer to send them on the trail rather than call the race with them all on-site just to have them get back on the roads after midnight, in the dark, in horrendous conditions, on unplowed roads. While we realize that many people are disappointed (believe me, we are too), at the end of the day, we must look out for the many, even if it is to the dislike of a few. This type of professionalism and leadership are two of the main reasons that people love Rocksteady Running events and why these events have become so popular and they routinely sell out. • Per our published policies, we will not be issuing a refund for the cancellation of this year’s race. • Per our published policies, we will not be transferring or deferring entries to next year’s race or any other RSR events. • Per our published policies, we will not be giving credit or offering a discount to next year’s race or any other RSR events. • We will not be rescheduling the race for another date in the future – the nature of the Zumbro River Bottoms area is that there are very narrow windows in which it is possible to get the event permitted and run the race. This is due to a myriad of other uses that take place in the management unit, including hunting, logging, other non-running events and other primary uses which would conflict with a running race. While we do ask that individual participants bear some of the risk of a cancellation in the form of a non-refundable entry fee, Cheri and my personal policy as your fellow trail runners has always been to help runners financially if running one of our events is cost prohibitive for them – we have worked with runners in the past helping them financially so they can get signed up to participate in our races. If getting signed up for Zumbro next year could be financially difficult for you please reach out to us, explain your position and we will do what we can to help. If I could just have that awesome race shirt all would be right in the world! We WILL be mailing everyone their t-shirt, they are bought and paid for, and we want you to have them, and we will cover all of the shipping costs! Please be patient with us, this is going to be quite the project! Please keep in mind as you receive these in the mail that our race shirts are NOT finishers shirts, they are not even runner shirts – they are for everyone that runs, volunteers or believes in what we value, which is the love of the trails, love of our fellow trail runners and love of something much bigger than ourselves. So please, wear this shirt with pride. This all begs the questions, so why didn’t you cancel the week or even days before? The short answer to this one is because the forecast can be wrong and often times is, and then what? We would have canceled for no reason… damned if you do, damned if you don’t, I guess. We as trail and ultrarunners seek out and accept a challenge. That is what we do, and a large part of why we do it. But, we also use our heads and make good decisions as the challenges mount in scope and complexity, and this is what we were able to do as a race organization as the challenges mounted in scope and complexity related to the entire event – we had systems and a team in place to attempt the run and make adjustments in real time if / when needed. We made the necessary adjustment and the system worked as it was intended. We could not be more sorry that our awesome 17 mile runners could not participate in this year’s race. We are runners too, and we don’t put on races to cancel them – in fact, this is the first time we have ever had to do it. We could not be more grateful that everyone both on the course and on the roads is now safe at home. We could not be prouder of how our volunteers performed. We could not be prouder of how the runners in the 100 and 50 acted responsibly to say when enough was enough. We could not be more impressed with the handful of 50 and 100 mile runners who went on to finish. We could not be more thankful for the outpouring of support that we have gotten for our decision from the 17 mile runners and the entire trail running community. 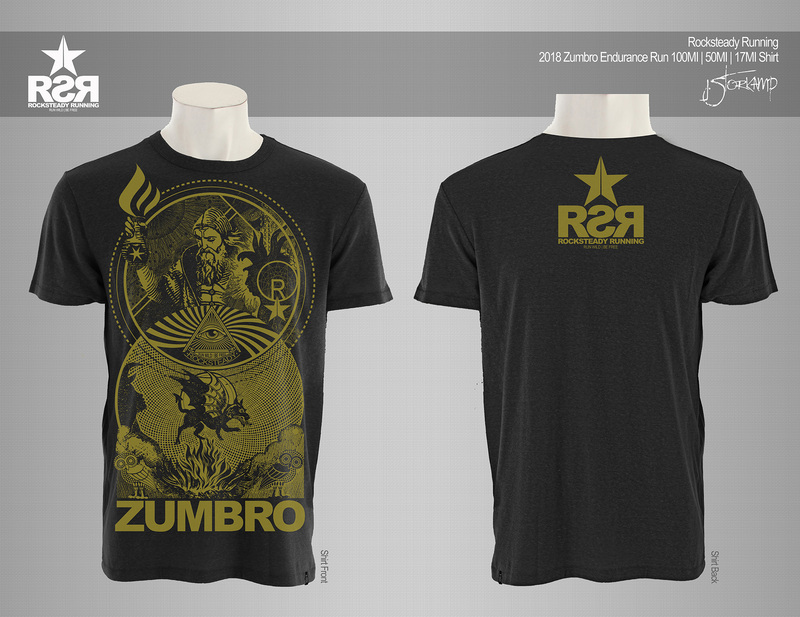 We look forward to seeing everyone who considers themselves part of the Zumbro family at next year’s race. We as a race organization dive deep into the well. We dive in physically, mentally, emotionally and financially to produce each and every one of these events – and we don’t get rich doing it. We have years of expertise and experience and broad shoulders to carry the load, and we happily do it. That said, we are not afraid to call it like it is and for those that don’t share the same values, we would suggest that you consider pursuing other sporting venues. Mostly, we thank you for your understanding and ongoing support, we love our trail people! Finally, on a very personal note, my 19 year old daughter who is a freshman at the U of M had come to the event early Friday to volunteer for the weekend. She stayed over on Friday, since it was unsafe to travel back. On Saturday, when it was time to go home, and although inconvenient, we elected to leave her car at Zumbro and have her drive home with us and to retrieve her car later. I never in a million years would have wanted her driving on those roads (and she is a pretty good driver, but please don’t ever tell her I said this), and while I knew all along that we had made the right decision in canceling the 17 mile race, through this final act at the very end of it all, it dawned on me that everyone associated with our event is someone’s child or loved one. Just as I helped to make the safest decision for my daughter, our team made the safest decision for our participants, and in this decision I could not be more confident. It is just running, it is just a race, it is not worth getting hurt. As trail and ultrarunners, our instinct and training is to always push through. Heck, one of the mottos we use for Zumbro is “Never Surrender”, and while there is a time and a place for pushing through, I also know that “a reed before the wind lives on, while mighty oaks do fall” – sometimes you have to bend before you break, this time we had to bend, thankfully we didn’t break and we will be back to race another day at Zumbro.